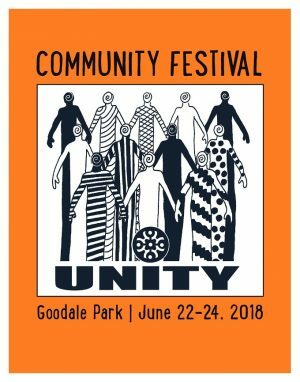 Established in 1972, the annual Community Festival finally arrives this weekend, Friday, June 22nd, through Sunday, June 24th! Held in Goodale Park, just north of downtown Columbus, ComFest offers seven stages of live entertainment, running the gamut from rock and folk to reggae, hip-hop and R&B, and even live arts presentations and performances. One stage is dedicated to jazz, the “I Wish You Jazz” stage, and periodically some jazz performances may be seen on other stages. Jazz stage headlining sets include “the jazz offensive” ChickenHawk BirdGetters on Friday night, long-running trance/jazz party starters Jim Maneri’s Flypaper on Saturday, and longtime festival favorite Tony Monaco closing the jazz stage on Sunday. Look for a more detailed preview of the jazz schedule here on Wednesday. Visit the ComFest Performances page for band descriptions, and stay tuned to the ComFest Facebook page for updates. Happy ComFest! *All performances at the “I Wish You Jazz Stage” unless otherwise noted.